Sports bleachers for sports fans are another items we would like to recommend You. 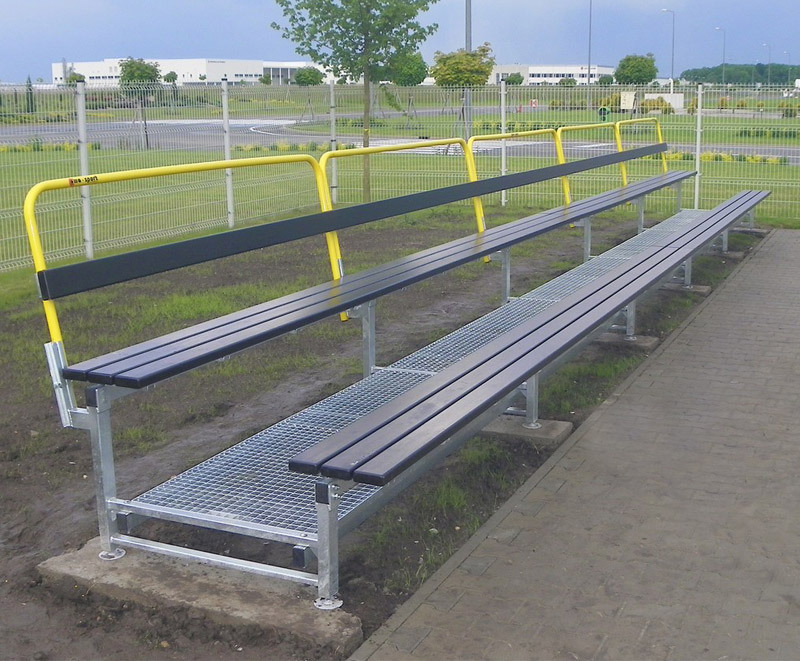 Thanks to the steel construction and plastic seats our sports bleachers are perfect for outdoor sports courts and stadiums. The bleachers are composed of 1,5m long sections (3 seats in a row) and can have up to six rows of seats and a railing. Please contact our international sales department to discuss the details.